Content remaining on the Barbican website relating to the 2009 performances does not identify Japan Tobacco International's funding of the Mariinsky tour. But this path leads further. For instance the 2009 Glyndebourne Festival annual report lists under corporate supporters 'JTI'. Possibly not coincidentally a newspaper recently reported that the UK parliamentary register of members’ interests shows Japan Tobacco International spent £23,000 entertaining 20 MPs in the past six months. It is estimated that one in two regular cigarette smokers will eventually be killed by their tobacco habit, half of these in middle age. 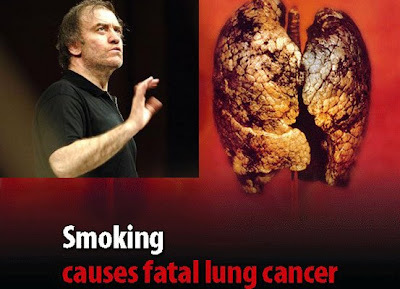 Over the last 50 years, six million Britons have died from tobacco-related diseases, three million of whom died in middle age (15-69) losing on average 20 years of life. You say Mariinsky - I say Mravinsky. Thanks for that. I had read recent reports of Australia's 'plain packaging' law for cigarettes with much interest.